This rare model Viking 25 is a spacious wide beam cruiser with a modern interior design featuring an under cockpit quarter berth. 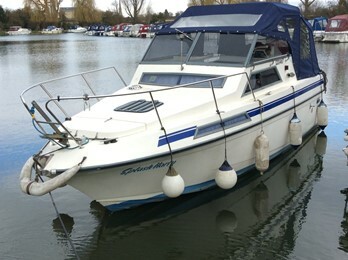 this well spcified boat includes a bow thruster. This model is a rare craft based on the Seamaster 725 mouldings. 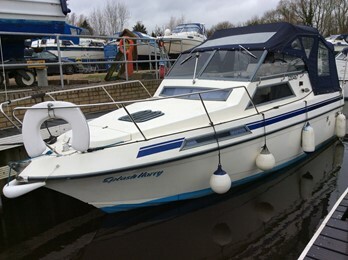 The boat has 4 berths in the cabin with an elevated helm position. The transverse double is under the cockpit with 2 v berths forward.